Planning a beach vacation can be a daunting task. From choosing where to go, accommodations, and things to do in the area, the list is endless. 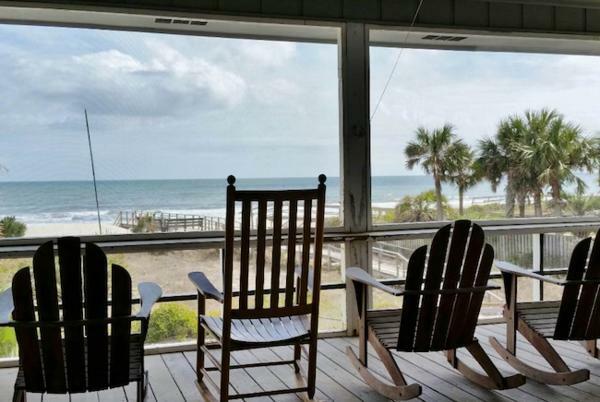 Here are some tips to consider for finding the perfect Litchfield Beach/Pawleys Island vacation rental for your stay! Getting a good idea of how many people will be vacationing with you is the best way to start your Pawleys Island vacation rental home search. Finding a home that accommodates everyone on your trip is easy. With over 70 rental properties in Litchfield Beach and Pawleys Island, there are many options to choose from at Litchfield Real Estate. Choose from condo rentals which are ideal for couples, small families, or smaller groups or if you have a bigger group, there are many properties that are better suited for larger groups. You can view the occupancy of each rental for each property when doing a general search or when on a property page. This will give you a good idea on whether a home or a condo is a better option for you. We all know location is important and can make any vacation more relaxing. Our rental properties are situated in many different locations so you are sure to find a home that better fits you and your family’s needs. Oceanfront homes allow you to wake up to a beautiful view of the ocean and take in the sights and sounds of the Atlantic. 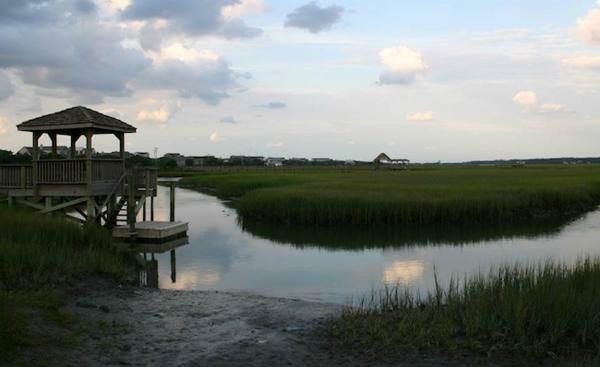 If you prefer to be near wildlife, our salt marsh and canal front homes are a great fit! Watch the nature take course from your back porch in these homes. 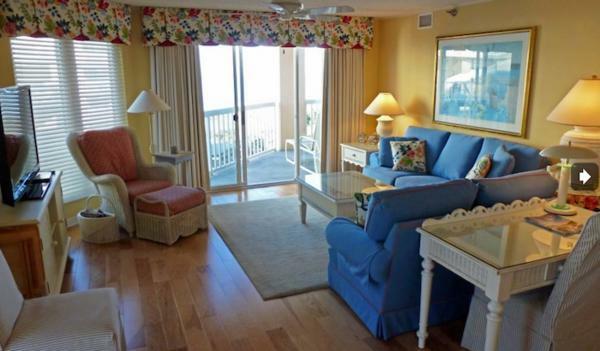 Our off ocean homes and second row homes are still easily accessible to the beach so you can start relaxing sooner! Now on to the best part, the amenities that vacation rental homes have to offer. For those who want to bring their BFF (best furry friend) to Litchfield Beach/Pawleys Island, Litchfield Real Estate offers pet-friendly vacation rentals so that your pup doesn’t miss out on a vacation! The ocean offers a great swim, but Litchfield Real Estate also offers homes with private pools or pool access. Take a dip and escape the heat of summer in one of the many homes/condos that offer this amenity. Price is another huge factor when looking at vacation rentals. Litchfield Real Estate offers specials on certain properties which you can view here. We offer home and condo rentals with a wide variety in prices so that you can find a vacation home that fits your budget. Also, save big when you book directly with us rather than OTA’s! You pay less fees when you book directly on our site. 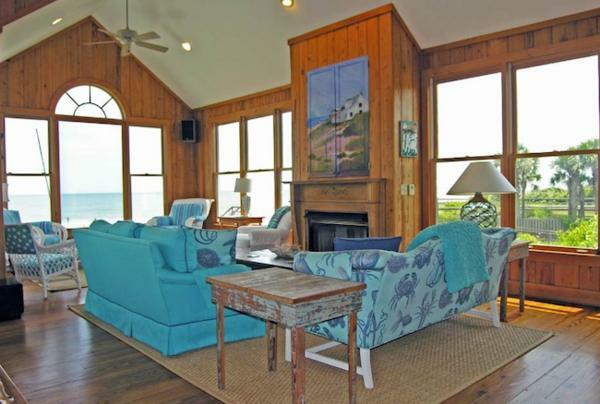 Now that you’ve got some tips under your belt, it’s time to begin your vacation rental search! Can’t find what you’re looking for? 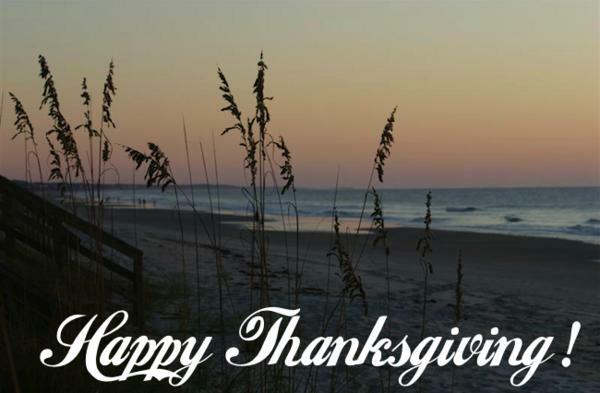 Call us and we can help you find your dream LItchfield Beach/Pawleys Island vacation home. There is a lot of buzz going on about the upcoming solar eclipse- especially in the Lowcountry. But what exactly is the Solar Eclipse? Why is it a “can’t miss” phenomenon? 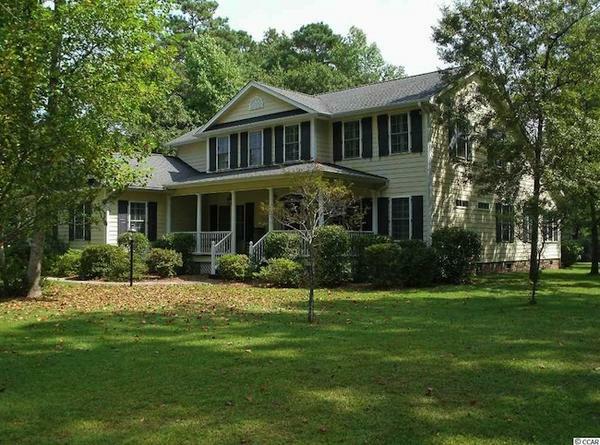 More importantly, why should you definitely be in the Litchfield/Pawleys Island area to view it? Well lets start with the basics……. This celestial event is a solar eclipse in which the moon passes between the sun and Earth and blocks all or part of the sun for up to about three hours, from beginning to end, as viewed from a given location. For this eclipse, the longest period when the moon completely blocks the sun from any given location along the path will be about two minutes and 40 seconds. Why is our area the place you want to be? 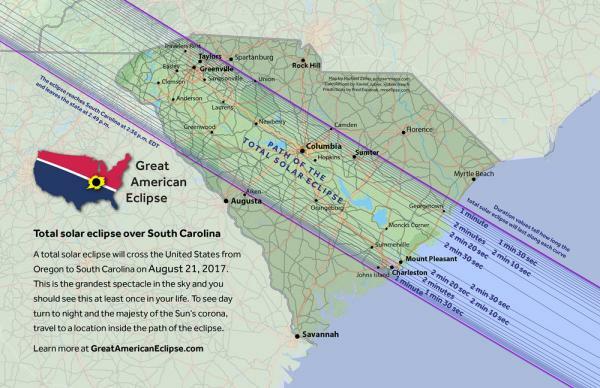 Pawleys Island and the surrounding areas fall within the “path of totality” giving us some of the best views of the eclipse in the nation. This path, where the moon will completely cover the sun and the sun's tenuous atmosphere, the corona, can be seen. If you live or are staying anywhere in our viewing area, Pawleys Island, at least 96% of the sun will be blocked by the moon. If you want to see totality (100%), you don't have to go far at all. It is a quick drive to McClellanville where there will be 100% totality. For exact times and how much of the sun will be covered where you live, check out this site. First, if you do not live in the area, you will need a place to stay. We still have rentals available so be sure to check out our website: litchfieldrealestate.com! We would love to have you for this once in a lifetime event. Second, but also VERY important, in order to view the eclipse you MUST wear protective eyewear. There are glasses specifically made for viewing the eclipse. Feel free to check those out at: http://www.eclipse2017.org/eclipse2017_main.htm. We will be celebrating all day with friends on the beach. How will you be celebrating? 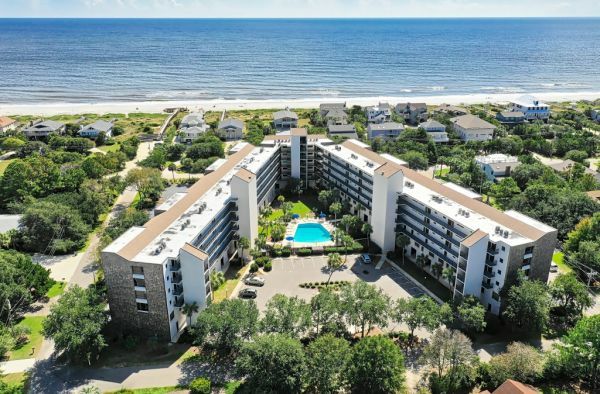 Along with miles and miles of wide, sandy, pristine beachfront on Pawleys Island, we offer a dazzling array of Pawleys Island rentals on the mainland too, where you can spend your time in comfort. Whether you're vacationing with the whole family, a group of close friends coming to play your best golf ever, or getting away for a short time by yourself, check out our Litchfield Real Estate rentals for a sweet price. You'll be glad to call our accommodations, your home away from home. Our vacation rentals in Pawleys Island are spacious and offer separate bedrooms, a well-equipped kitchen and spacious living room area -- something you won't get from a hotel. Amenities in many of our rentals may include hot tubs, Jacuzzis and whirlpool bathtubs, swimming pools, free internet access, large screen TVs, game rooms, and laundry on-site. Just imagine awakening to the sounds of the birds always chirping, a sultry salty breeze always blowing, and spectacular sunrises nearly every day. Enjoy the gorgeous views of the beautiful Atlantic Ocean and the coastline as far as the eye can see. Life at the beach moves slower and we promise you’ll find it both restful as well as rejuvenating. If you prefer to be active there is always much going on here, so much to explore, so many opportunities to try new things and enjoy! This is the home of championship golf, live entertainment, fine dining, fabulous shopping and some of the best fishing and boating on the East Coast. Come stay with us where there is something for everyone and the memories you make will be cherished forever. Many people come to vacation in paradise while others want more than that and dream of living here. You can find your very own piece of paradise in the Pawleys Island homes for sale that we have available. This is a really great time to buy – a great time of the year as well as the perfect economic time. Prices are more affordable now than they’ve been in some time but they won’t stay that way for long! 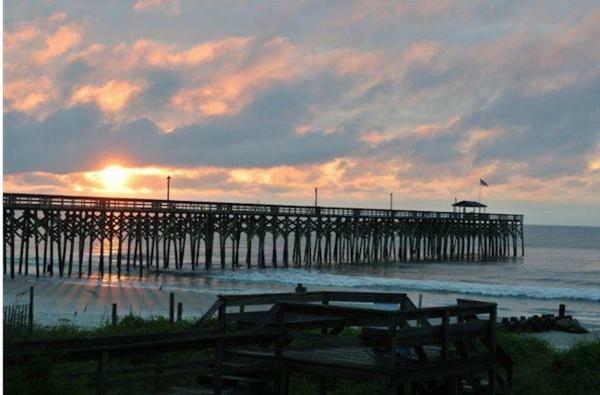 If you’re looking for a place to live, away from the turbulence of traffic and noise, consider Pawleys Island, South Carolina. Just south of Myrtle Beach our island is about 4 miles long and is one of the oldest resorts in America. This area is more peaceful and far less crowded than further north along the Grand Strand. Not into island living? 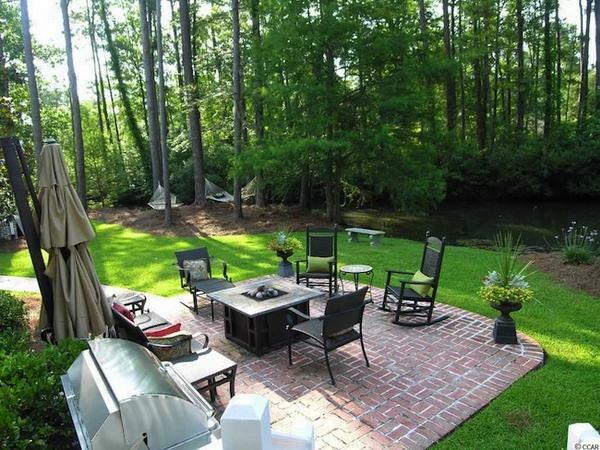 We also have many homes for sale on the mainland of Pawleys Island that are sure to delight you. Pawleys Island has maintained a low density policy regarding any new building. This has prevented developers from building high rise condo resorts on the island and maintains the island’s beauty. 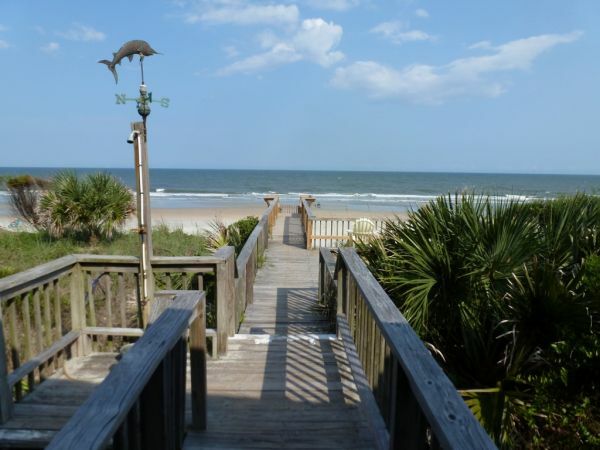 If you’re considering relocating to coastal South Carolina you owe it to yourself to take a look at the Pawleys Island homes for sale that we presently have. Living in Pawleys Island puts you close to the city of Georgetown, SC as well as in close proximity to the finest golf courses in the area. Many of the golf courses were built on what formerly were historic rice plantations. Some still have remains of the old plantation homes that once stood proud. In the past, the area around Pawleys Island was known for the many fishing boats that would dock in Murrells Inlets and Georgetown. Murrells Inlet is located just minutes from Pawleys Island and is the “Seafood Capital of the World”. The area has some of the finest seafood restaurants that offer waterfront dining as well as live entertainment nightly. When you’re ready to look at real estate on Pawleys Island, give Litchfield Real Estate a call at 843-237-4241 and we’ll be happy to show you around! When you’re looking for a gorgeous coastal location where you can hold a beach wedding ceremony, be sure to consider Litchfield Beach, South Carolina. It is listed among the most beautiful beaches in the country and it’s a perfect spot to hold a wedding ceremony. 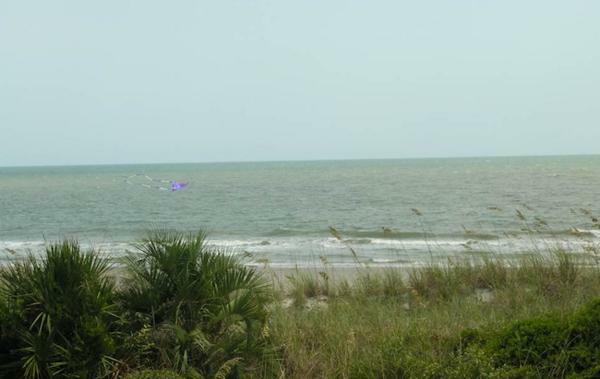 Located on a secluded peninsula, Litchfield Beach is between Myrtle Beach to the north and Georgetown to the south. Pearly white sand covered beaches make this a breathtaking location for weddings and a favorite spot to spend Valentine’s Day and pop the question. If you’re looking for that ideal spot for your wedding — this is it — come check it out. We have Litchfield oceanfront rentals that will comfortably accommodate you and your wedding party during the ceremony and the honeymoon, too. When you come here for your wedding ceremony staying for your honeymoon just makes sense. 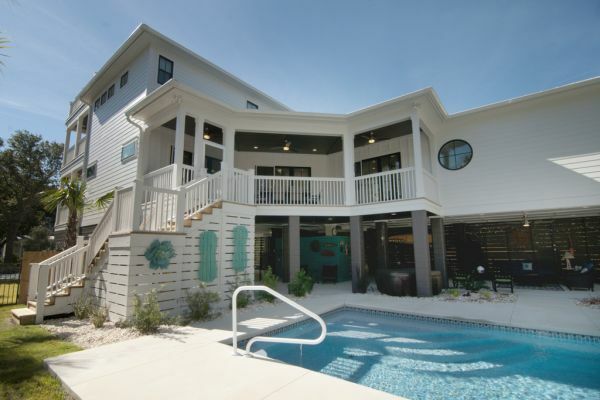 These awesome rentals will provide you everything you need for a perfect vacation. Rentals are fully furnished right down to the kitchen utensils. The weather is moderate in the winter and hot in the summer, so anytime of the year is the perfect time to be here. A beach wedding will be a memorable one your guests will never forget. 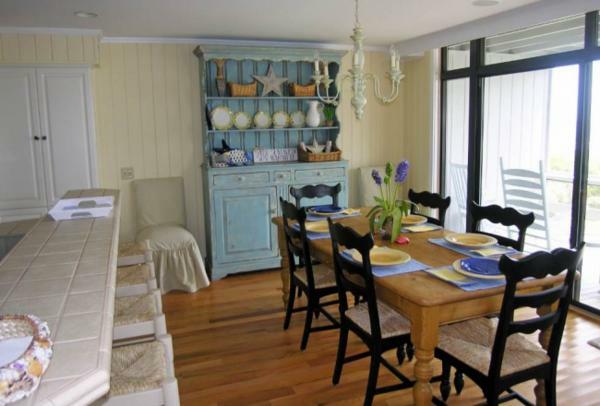 The richly decorated rooms in our rentals create an engaging home-away-from-home. The fully equipped kitchens provide what you need for cooking whether it’s hors d'oeuvres or a full out dinner spread to have on the beach. The breathtaking views of the Atlantic Ocean and serenity of the tidal salt marsh with its natural wildlife completely takes the experience of a beach wedding right over the top. If we can help you with booking a place to stay please give us a call at Litchfield Real Estate. We can be reached by calling 800-437-4241. Our Christmas present to you this year is your choice among holiday vacation rentals at 20% off through the end of the holidays! We also have some rentals where we throw in an extra night for free. If you’re still looking for gift ideas why not take advantage of these specials and surprise your family in a way they’re sure to love this year. This is definitely a one-size-fits-all gift! Don’t miss the following special events taking place on behalf of the Christmas holiday season -- Come on out and watch the Surfside Beach Christmas Parade on Saturday, December 10 beginning at 2 p.m. The parade will run down Ocean Boulevard in Surfside Beach. The popular Christmas performance by the Pawleys Island Concert Band under the direction of Carson Turner will take place on Dec. 13, 7 p.m. at Pawleys Island Community Church. This event is free and open to the public. Yuletide Tour of Homes, a benefit for Friends of the Georgetown Library, includes eight homes, from colonial to contemporary, decorated for the season along with refreshments at the historic Parker-Stewart House. Dec. 10, 1:30-5:30 p.m., Downtown Georgetown. $25 ($20 for members of county Friends groups) at any library or call 843-545-3303. Nights of a Thousand Candles is definitely worth seeing if you have never been to Brookgreen Gardens in Murrells Inlet or if you have visitors coming over the holiday that you want to impress. Walk the paths with a warm cup of cider, hear the sounds of hand bells ringing, carolers singing, and celebrate the season with family and friends. An 80-foot-tall fir tree decorated with 70,000 lights will be lighted in ceremonial fashion at 5:45 p.m. every night. See the gardens come to life amid the soft glow of 5,500 handlit candles and sparkling lights from 3-10 p.m., Dec. 8-10 and Dec. 15-18. The Holiday Bazaar at Market Common takes place from 12 p.m. to 4 p.m. every Saturday through December 17 at Market Common! There will be seasonal craft vendors, live greens, and fresh food. 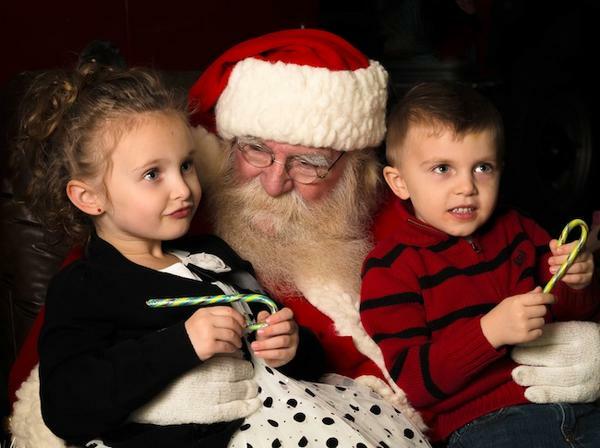 Bring the kids and have Breakfast with Santa from 9-11 a.m. on December 10 and 17 at Market Common. The annual Lighting of the Menorah will take place at 5:30 p.m. on Dec. 24 – the first night of Hanukkah – in Valor Memorial Garden at The Market Common, with Rabbi David Weissman. 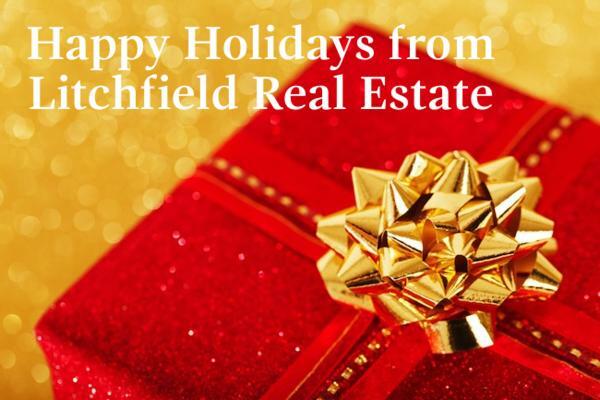 Merry Christmas, Happy Hanukkah and a very Happy New Year from all of us at Litchfield Real Estate & Vacation Rentals!